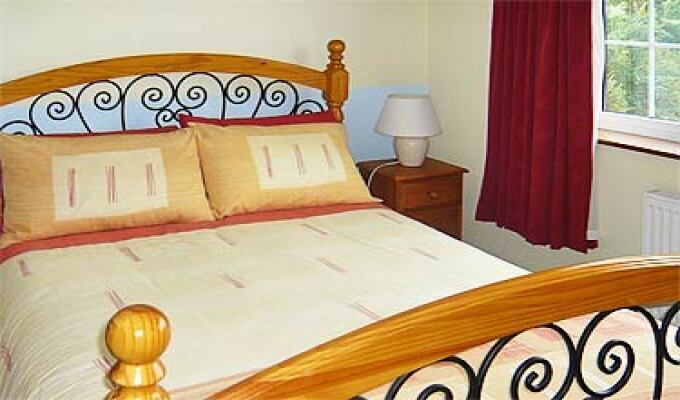 Hollow Stream B&B in Kingscourt, Cavan offers bed & breakfast in 4 relaxing and individually decorated rooms. 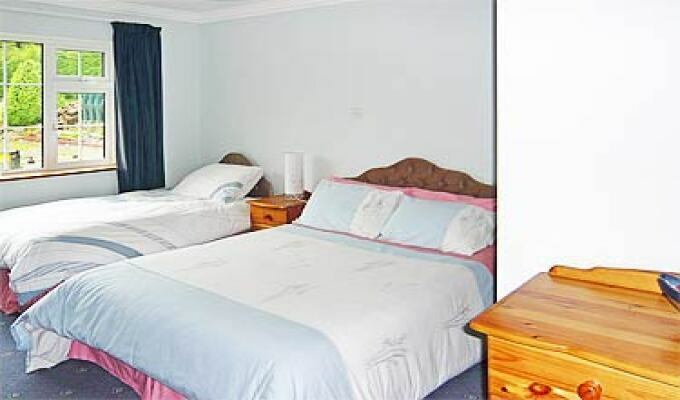 It is renowned for its warm Irish welcome, high standard of accommodation and its superb Irish breakfast. 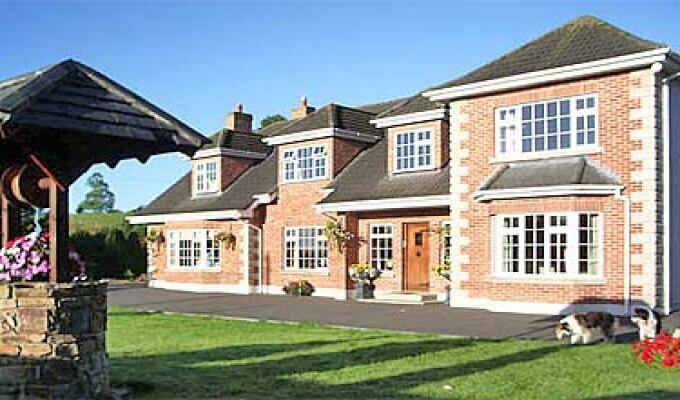 Its the place to stay if attending a function or wedding at Cabra Castle. If required we can arrange transport for you. 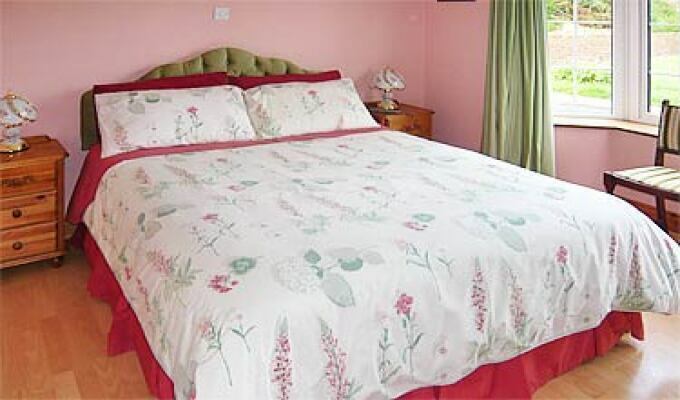 Whether on business or pleasure in the Kingscourt area, Hollow Stream B&B is an ideal comfortable base. Tucked into the south-east corner of County Cavan, Kingscourt is the perfect location for touring Louth, Meath and Monaghan. The market town of Kingscourt is busy and prosperous, with a number of thriving home grown industries. Its main street has some fine examples of 17th and 18th century buildings. The Kingscourt Catholic Church, sitting high above the town, boasts some fine stained glass windows. 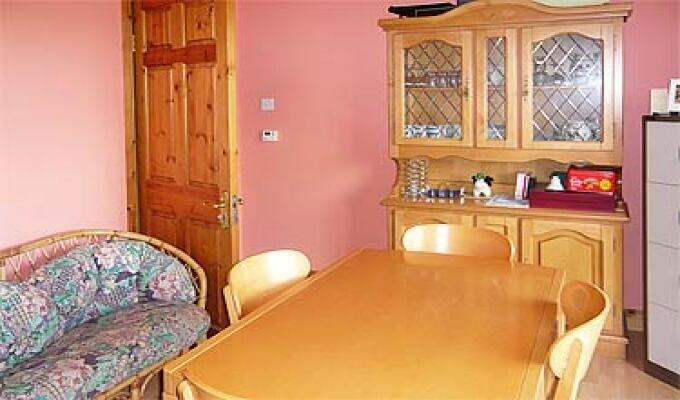 Close by are Cabra Castle, with its excellent golf course, Horse Riding, Fishing, Dun a Ri Forest Park, scenic beauty spots, Wishing Well and Hill Walking. In Kingscourt take the Dublin Road, the R162. 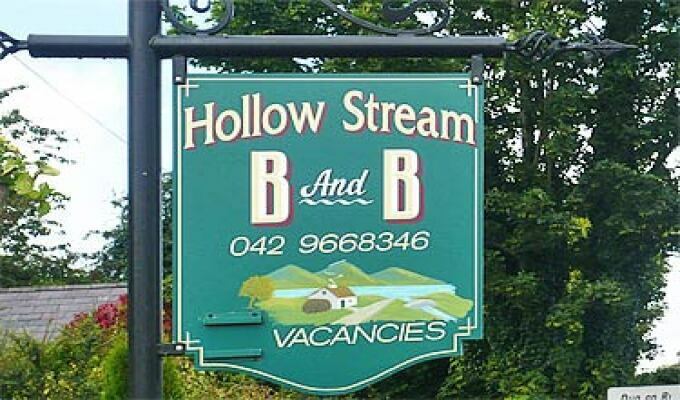 You will find Hollow Stream B&B after 1km on the right side of the road. Close to Cabra Castle. 1hr from Dublin. Everything met my expectations. However I thought the facility was in the city of Cavan and that was my mistake, but everything turned out OK in the end. Also, enjoy our short time at her pub and conversation. Sheila was a wonderful host when we stayed with her before a wedding in Cabra Castle. She couldn't have been more helpful and accommodating to our large party. Also, she prepared a lovely breakfast! Would highly recommend a stay in Hollow Stream.